£5 per class if you pay as you go or we offer discount on block bookings (£18 for a block of 4) You can just book an individual lesson. Get your kids to try something new this summer. 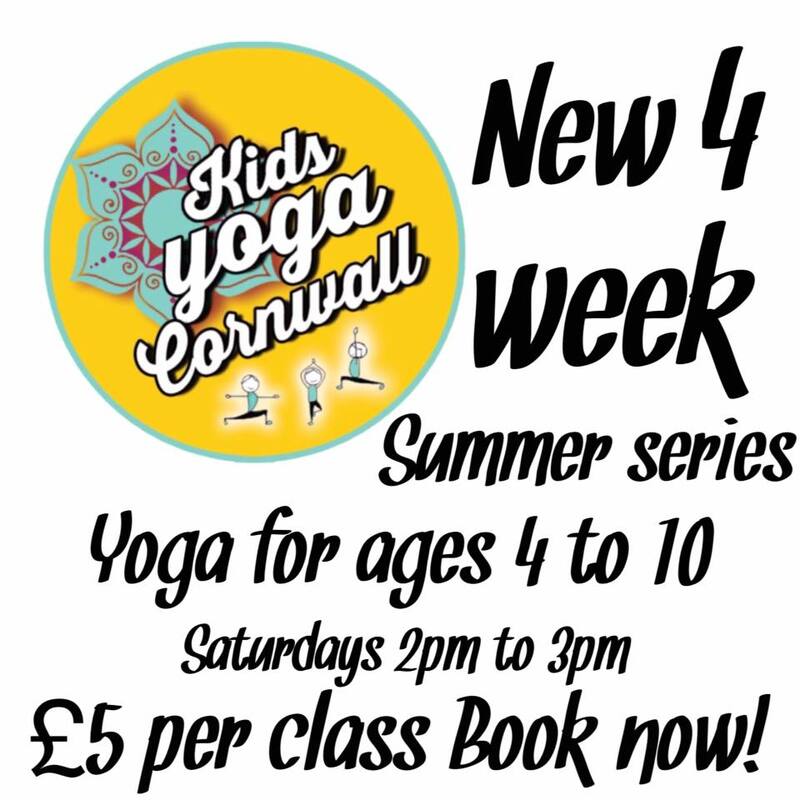 At Kids Yoga Cornwall we let them burn off some energy and make relaxation fun! Our yoga classes encourage teamwork, increase flexibility and makes mind and body stronger. We are working together to build a community of young yogis. Our yogis aren’t just cute, they are intelligent, kind, loving and joyful working together to change the world! Don’t forget about our Play Dates!!! Where we can bring our yoga stories and fun to you. You choose the space be it beach, park or anywhere kids can be kids! Book your young yogis place now!! !